It is very important to ensure that your baby’s diet contains iron-rich food items right from the start. Many babies struggle with the side effects of iron deficiency from an early age. This happens when the iron in breast milk is not supplemented in the baby’s diet once the little one graduates to solid food. As a result, many problems such as anemia, fatigue, and low IQ start surfacing in infants and toddlers. If you are looking for ways to include healthy iron rich food recipes for babies into your little one’s diet, here are 21 great recipes to try. 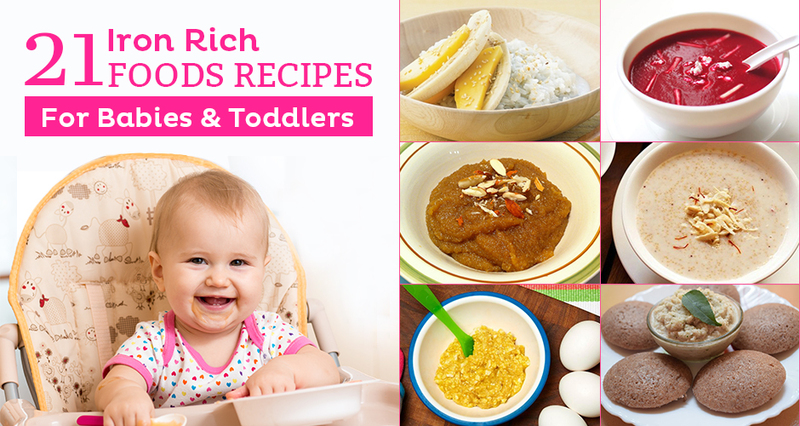 These iron rich recipes for babies are excellent foods for your little one will love to eat. Wash the urad daal and soak it for eight hours. Wash and soak the poha for about three hours. Grind them together and make a batter. Use the same water you used to soak them. 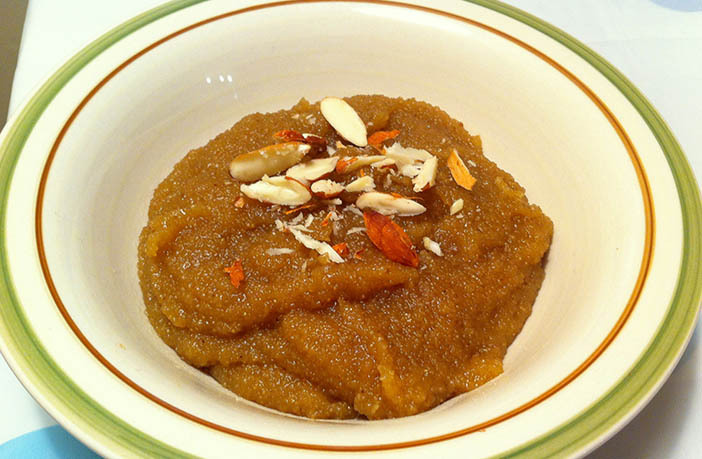 In a vessel, mix ragi with water to make a paste. Pour the poha-urad mixture into this and mix well. Add salt as per taste/need. Let this mixture ferment overnight. Then, add a pinch of baking soda and mix in the grated vegetables. 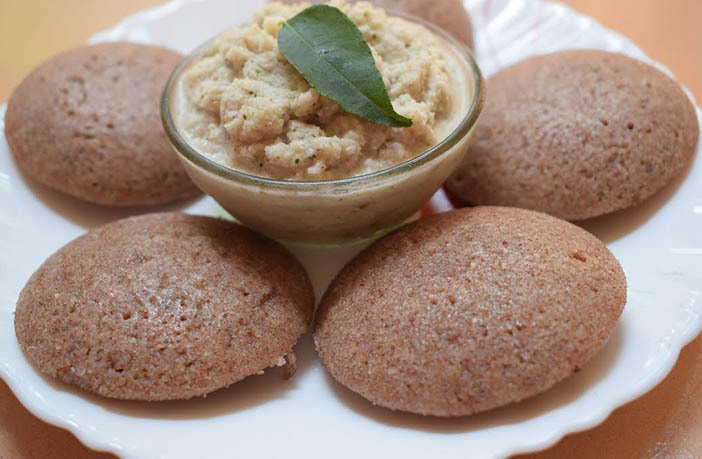 Cook for 10-15 minutes in an Idli cooker till done. In a pressure cooker, cook the vegetables with water and the broth until they are tender. Puree them to make a smooth soup. Add water as per the required consistency. Mix in fresh yoghurt before feeding it to the baby. In a pan, bring water to simmer. You can add salt and spices if your child is over 12 months of age). Add the filet in the water. Let the fish cook until it turns fully white. Mash or crumble and feed it to the baby. You can give egg yolks to non-allergic babies 8 months and above. The whole egg can however, be given once the baby is one year old. Cut them in half and remove the yolk. In a small bowl, add the formula or breast milk and mash with the eggs until the mixture is easy for the baby to swallow. Heat a pan and dry fry the sooji in it until it is brown. In the meantime, boil water in a pot and add the jaggery to it. Let the jaggery melt completely to form a syrup. Pour the jaggery syrup into the pan containing the roasted sooji. Let the sooji cook completely and the excess water evaporate. Serve with a dollop of ghee. 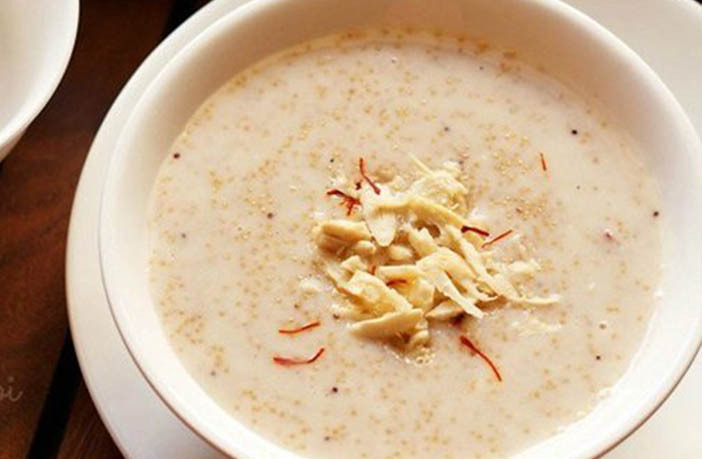 In a bowl, mix the curd, cooked rice, and mashed banana. To make it smoother for the baby to eat, blend the mixture. You can choose any fruit puree of your choice besides banana. In a saucepan dry-roast, the nuts one after the other till they are crunchy. Since the roasting time for each nut is different, it is best to roast them separately. Once the nuts have cooled down, pulse them in a blender to make a coarse powder. Add the saffron and continue to blend until you get a fine powder. laddoos with the powder and some ghee. Saute the onions, celery/cucumber and carrots in a saucepan until they are tender. Mix in the sweet potato and lentils. Let the lentils and the vegetables cook on a low flame until they are all tender. Blend the mixture to make a puree. Soak the dates in 2 tbsp of warm water and set aside for 10 minutes. Once they are soft, blend in a mixer to make a paste. In a non-stick pan, heat the oil and add the bajra flour. Let it cook for a few minutes as you stir continuously. Add the date paste and mix in a ¾ cup of water. Mix well and let it cook on a medium flame. Chicken liver can be given to babies above 8 months old. Just two to three teaspoons, twice or thrice a week is sufficient to start with. In a saucepan, heat the coconut oil on medium flame. Add the apple slices and cook until they are tender. Add the spring onion and garlic in it. Now, add the liver and 2 more spoons of coconut oil. Cook until the liver will become pink inside. Blend the mixture when cooled. In a shallow pan, roast the sesame seeds until they are almost brown. Let the seeds cool for about 20 minutes. In a pressure cooker, cook the pears and the broccoli until they are tender. In a blender, blend in the sesame seeds, broccoli, pears, and olive oil to make a smooth paste. Ground cumin – A pinch. In a saucepan, heat some oil and cook the garlic and onion until they are tender. Add the cauliflower and broccoli florets along with carrots into a pot of boiling water. Simmer until the vegetables are tender. Transfer the vegetables and the onion and garlic mixture in a blender and make a smooth soup. Mix in the cumin and serve. Mixed nut powder (from recipe above) – 1 tsp. Warm the formula or breastmilk. If you are using cow’s milk, oil it until it is frothy. Add the rajgira seeds in the milk/breastmilk/formula. Cover the mixture for a few minutes until the seeds become soft. Add the nuts, powder, and ghee before serving. Wash and drain the poha. Chop dates into fine pieces. In a pan, boil ½ cup of water. Add the chopped dates and let them cook until they are fully disintegrated. Add the soaked poha and let it cook. Take it off the heat and then add the formula or breast milk. Mix well. If you are using cow’s milk, you can cook the dates in the milk directly. Mash the potatoes and sweet potatoes until there are no lumps. Add the coriander, salt, pepper, and cumin and mix in well. Mix the bread slices in and make sure that the mixture is smooth. If it is dry, you can add some water. Pull out 1-inch tikkis from the mixture. On a pan, heat some ghee and shallow fry the tikkis until they are golden brown. Grated ginger – ½ tsp. Chopped capsicum – 1 tbsp. Chopped cauliflower florets – 2 tbsp. Peeled and finely chopped carrots – 2 tbsp. Cumin-coriander seeds powder – 1 tsp. In a pot, boil the soya chunks in 1-½ cups of water until they are soft. Then, chop them into small pieces. In a pan, heat some oil and add the cumin seeds and onions. Sauté until onions are pink. Add the capsicum, garlic, ginger, and sauté for 2 minutes. Add the carrots, cauliflower, and sauté until cauliflower is tender. Add the tomato and the dry powders and salt. Mix well until the oil separates. Mix in the milk and soybean chunks and 2 tbsp of water. Let it simmer for a few minutes. 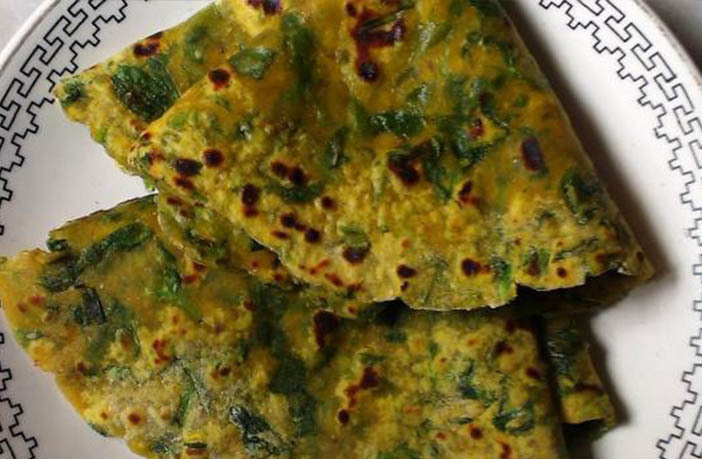 In a bowl, combine the palak and the flour. Add water slowly and knead into dough. Mix in the salt and the oil and knead until it is soft. Pull out small portions and roll into parathas. Heat a pan and roast both sides until they are brown. Worcestershire sauce – ¼ tsp. Transfer them in a baking pan. Bake for 45-50 minutes at 250 degrees. Make sure you stir it occasionally to roast the seeds evenly. In a bowl, mix the flour, the blanched methi leaves, and salt. Add oil when the dough is almost ready and knead until it is softer. Pull out small portions of the dough and roll it into parathas. Heat a pan and roast both sides until the parantha is crisp. Serve with homemade yoghurt or butter. In a large pot, boil water and cook the pasta in it. When done, drain the water and wash the cooked pasta in cold water to let the strands separate. In a pan, heat the oil. Sauté the garlic, sundried tomatoes, and diced tomatoes until they are fully cooked. Add the mixture in a processor and pulse. Put this coarse mixture in the pan again and sauté gently on low heat. Mix in the pasta and stir for a few minutes. You can serve it with a topping of grated cheese. Soak the cowpeas overnight. Drain them and keep them aside. In a pan, heat some butter. Sauté the onions and the bay leaves. Add the other vegetables and the cowpeas and cook for about 10 minutes. Add five cups of water and let the vegetables cook until they are tender. Hope these iron rich recipes for babies serve to resolve your dilemma of what to give to your little one when she is starting solid foods and even later through her growing years. Besides iron, they are power packed with several other beneficial nutrients that include carbohydrates, healthy fats, vitamins, and minerals. So go ahead, try them, and prepare a mouth-watering yet healthy treat for your kiddos.